GSMArena team, 18 December, 2015. Want an iPhone not designed in California and with a few tweaks unlikely to come out of Apple's Cupertino offices? Meet the Vivo X6. Okay, we won't call it a copycat, but the resemblance is too apparent for it not to be the first thought that comes to mind. The metal unibody, the antenna strips, the camera hump, even the tiny screws on the bottom and the color options (Rose gold among them, of course) carry an Apple air - perhaps more so than we've seen in a competing device thus far. Good thing then that Vivo has done a few things differently, and in a way we won't be seeing Apple do them anytime soon. Fingerprint sensor on the back? That's where the bitten fruit logo goes. Headphone jack on top? Nah, Apple relegated that to the bottom with the iPhone 5 and why would it take a step back? 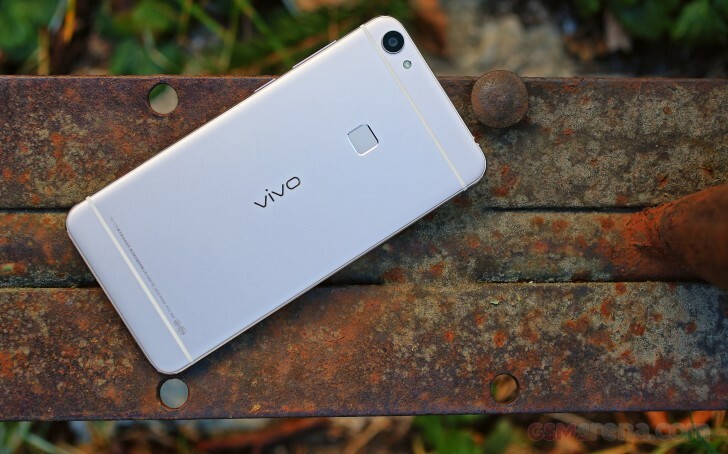 There's also no physical home button, round or otherwise, and capacitive keys are Vivo's take on navigation. An AMOLED display adorns the front and while itself not a champ in screen-to-body ratio, the Vivo X6 offers plenty more screen estate than its inspiration. And there's the X6 Plus, which is larger than the iPhone 6s Plus but we're not going to discuss the bigger Vivo X56 model today. 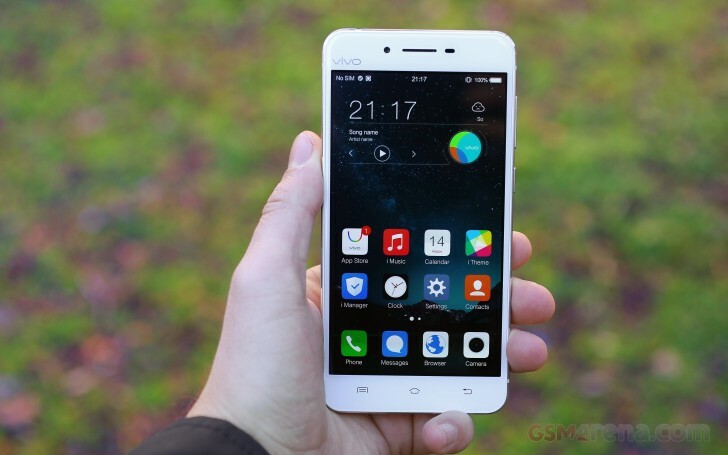 Vivo gave us the opportunity for a hands-on of the Chinese version of the X6. You ca rest assured that we'll develop this into a full-blown review once we get a proper review unit. We'll just go ahead and share a few initial impressions of the smartphone and the detailed review will remain on our to-do list.